In this selection are highlighted the 10 largest & biggest rocks in the world, in this context, the reference is to geological feature such as a mountain, consisting of a single solid stone or rock. One problem in finding the greatest rock is that the term "monolith" is a bit ambiguous, and it is not always used that name the giant rocks. But in the sequence shows the largest and most interesting rocks on the planet. 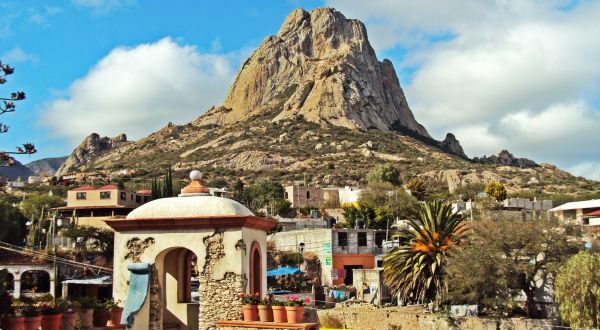 Bernal Peña is the largest rock of Mexico located in San Sebastian Bernal, a small town in the state of Queretaro. The rock rises 350 meters above the city and was formed about 100 million years ago, during the Jurassic period, when it was at least 3 times higher than today. Gibraltar is an overseas territory of the United Kingdom on the southern coast of Spain, at the entrance to the Mediterranean Sea. The limestone monolith of 426 meters is home to 27,800 Gibraltarians, and 250 monkeys of-gibraltar, the only wild primates in Europe. 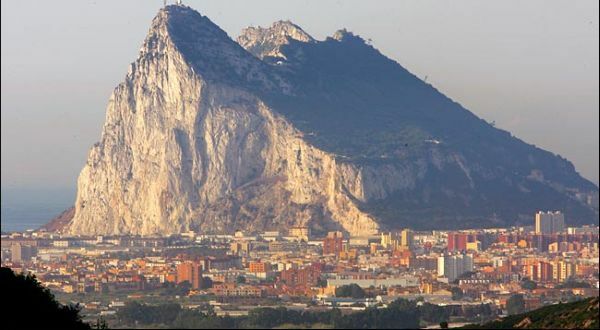 In Greek mythology Gibraltar was one of the Pillars of Hercules that marked the edge of the Mediterranean and the known world, and the Rock of Gibraltar ninth position in this selection of the 10 largest rocks in the world. 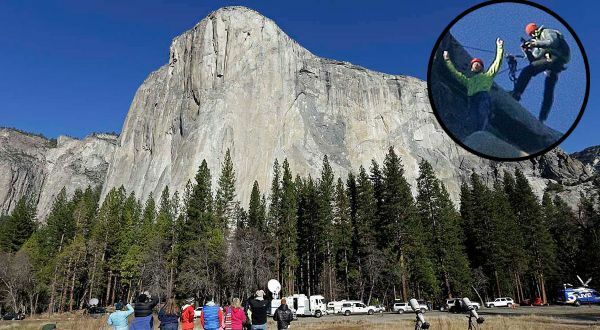 One of the most famous attractions in Yosemite National Park, the granite monolith El Capitan rises almost 910 meters vertically Yosemite Valey. It is a favorite challenge between the experienced rock climbers. In 1958, Warren J. Harding, Wayne Merry and George Whitmore were the first to climb the Nose of El Capitan using ropes, clamps and expansion pins. Torres del Paine is a national park in the extreme southern region of Patagonia, Chile, has mountains, lakes and glaciers. 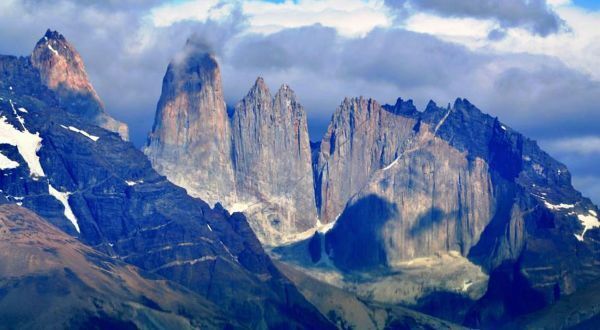 The centerpiece of the park are 3 Paine Towers; spectacular granite monoliths shaped by the forces of glacial ice. The highest peak is about 2,500 meters. The best kept secret of Mauritania, Ben Amera is hidden in the desert waiting to be discovered by mass tourism. 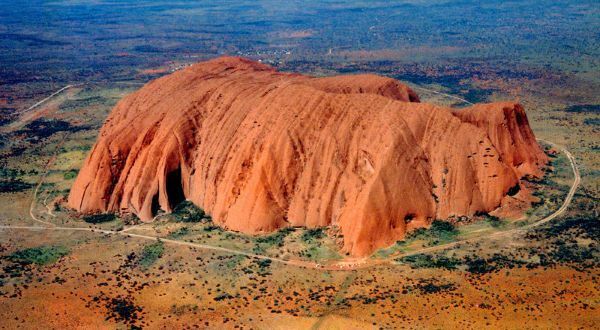 According to some sources, it is the second largest monolith in the world, after Uluru. 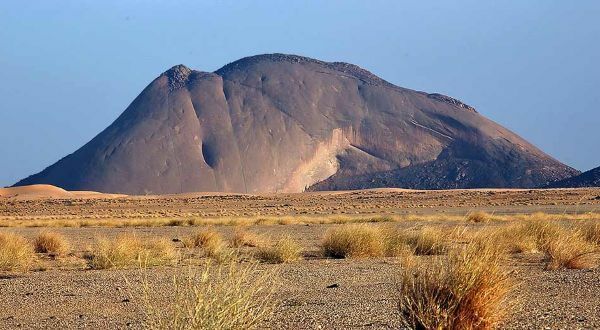 Ben Amera is located 5 km from Tmeimichat, a small village in the desert train route between Nouadhibou and Zouerate. Rising 386 meters above the surrounding terrain, Devils Tower is the core of an ancient volcano exposed erosion. It is located in the Black Hills in Crook County, northeastern Wyoming. 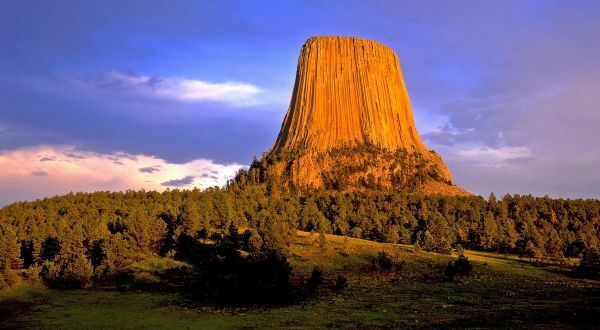 It was declared a US National Monument, when it was chosen as the location of the point of human-alien encounter in science fiction film winner Steven Spielberg's Oscar, "Close Encounters of the Third Kind." 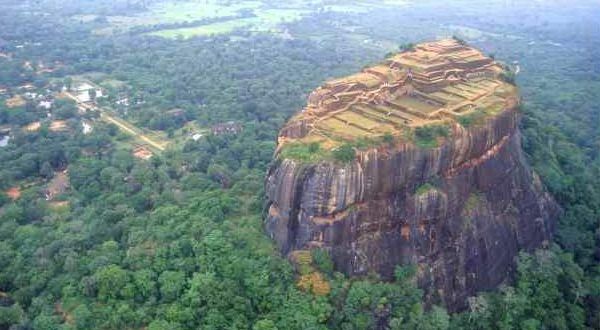 Sigiriya is a spectacular rock fortress, with a height of 370 meters, overlooking the green surroundings of the jungle. It is one of the biggest attractions of Sri Lanka. The Sigiriya rock is a hardened magma spike of an extinct volcano and a time eroded, like the Devils Tower. Around the fifth B.C century, it was used as a monastery in a shelter on the mountain, and later turned into a rock fortress by King Kasyapa. 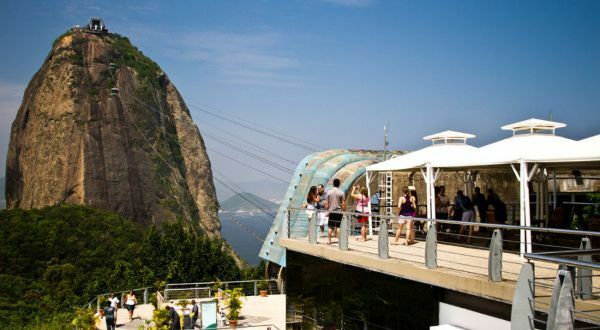 The Sugar Loaf is one of the attractions most commonly recognized and sought after in Rio de Janeiro. Situated on a peninsula that juts apart in the Atlantic Ocean, the mountain rises 396 meters above the sea level. A cable car takes visitors to the peak of Sugar Loaf where spectacular views of Copacabana and other beaches can be admired. The Sugar Loaf comes down to the complex of hills with location in the neighborhood of Urca and formed by the hill of Sugar Loaf, which offers name to the complex, which also included Urca hill and also of Babylon. And with Christ Redeemer statue is characterized as the largest postcard of Rio de Janeiro and one of the most popular in Brazil. 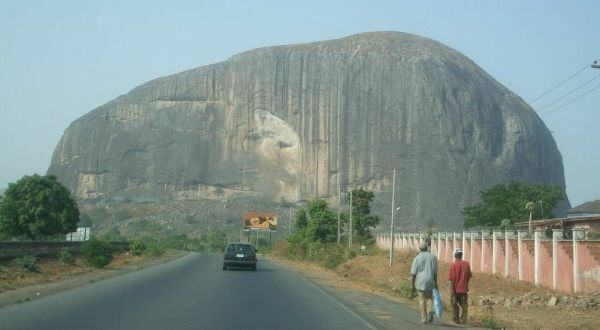 The answer from Nigeria to Australia Uluru, Zuma Rock is located in the north of the capital Abuja, Nigeria, and is easily seen going along the main road from Abuja to Kaduna. Although Uluru is one third wider, Zuma Rock is twice as high, rising impressive 725 meters above its surroundings. According to some observers, a person's face can be recognized in the white part in the center of the rock. Uluru is one of the most known natural icons of Australia, located 335 km southwest of the nearest large town, Alice Springs. It is the largest monolith in the world. The world-renowned sandstone formation has 348 meters high and measures 9.4 km in circumference. Rock suffers from dramatic color changes with its terracotta tone, gradually changing from blue to violet at sunset, to flaming red in the morning when the sun rises behind it.